Beth Gibbons is an English singer, composer and musician, mostly known as the vocalist for trip hop/ experimental rock band Portishead. Born in Exeter, Devon on January 4, 1965, she was raised in a small farm with her two sisters. Her parents divorced when she was very young. Gibbons started her singing career in Bristol met Geoff Barrow in a government business start-up program. The band’s lineup was complete when jazz guitarist Adrian Utley and session men Jim Barr, John Baggott, and Clive Deamer got together to record two critically acclaimed and commercially successful studio albums, and an additional live album. These three albums pretty much defined the “trip-hop” genre and are often ranked among the greatest albums of all time. Gibbons’ vocal abilities have been praised by musical artists as diverse as Led Zeppelin legend Robert Plant and hip hop icon Dr. Dre. Known for her distinctive contralto range, she has also worked with former Talk Talk bassist Paul Webb and drummer Lee Harris. Some of Gibbons’ musical influences include Nina Simone, Elizabeth Fraser and Edith Piaf. She was selected as a judge at the 10th annual Independent Music Awards. 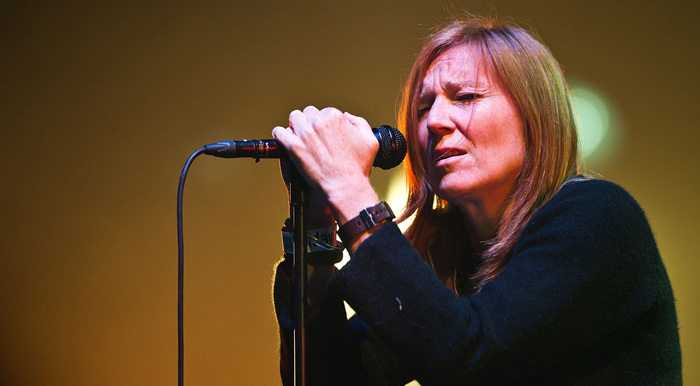 True to her media-shy image, Beth Gibbons rarely gives interviews. She is of the view that she can’t express herself in an hourlong interview session, and she fears being inaccurately presented and wrongly quoted by the media.